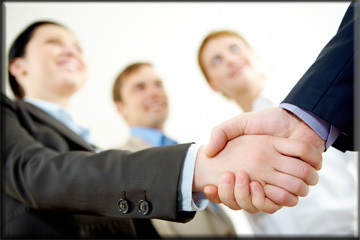 We hired Business Connections Consulting recently to assist us with a Cold Calling campaign. Although I was personally skeptical that this type of campaign could assist us I was pleasantly surprised with the professionalism and the results we achieve through their efforts. We have several more campaigns planned for them to do for us. Well Done! My experience with Business Connection Consulting was very positive. My expectations were high. Everything ran like clockwork. They delivered on all of the commitments that they made, including sticking to the agreed upon timetable. They helped me develop my strategy and my script, a call plan, and followed up with detailed information about what worked and what we needed to ‘fine tune’. I have a very high degree of confidence in John Eyres team and recommend them highly. Our small company turned to Business Connections Consulting to help us keep a steady flow of prospects for our project-based business allowing us to do more “work” and less prospecting. We worked with John, a true professional in the industry, who repeatedly sent us qualified leads resulting in real business for our company. As a result, we have built a stronger client base and maintained cash flow in our competitive industry. Thanks Business Connections Consulting for helping us take our business to the next level! Laura Reed, Partner, Cork Tree Creative, Inc.
John, I wanted to take a minute to express my satisfaction with the business to business calling program that you and your team developed for my division. We have experienced a huge up-tick in sales activity on qualified leads. We have already sold a number of these and have developed an impressive funnel of prospects that will be very productive in the near future. The team that is working on my account gives me regular updates and has a system in place for communicating appointments, leads and other pertinent data. Dealing with you and your team has been very efficient and pain free. I plan on keeping your services as a big component of Classic Aire Care’s business to business marketing plan. I will refer any like minded customers your way and I encourage any of your prospects to call or email me to discuss the services that BCC has provided for me. John is a valuable extension of our small staff. He enables me to make the best use of my time, talking directly with prospects one-to-one. He promotes me and my company in a way that is convincing and flattering. His ability to connect with people on the phone and get appointments is amazing. We could not do what we do without John! Business Connections Consulting has been a great partnership and addition to the sales & marketing strategies at Conference Technologies, Inc. John and his team are great to work with and professional on all levels. BCC has played a big role in our client acquisition strategies for targeted markets as well as assisting our internal review process with a customer service calling strategy. This relationship has been a successful and cost effective strategy that has led to an increase in business and revenue. John Laughlin, President, Conference Technologies Inc.
We have contracted with John Eyres and BCC for softening our market via cold calling. During the last few weeks he has moved through hundreds of names. He has managed to clear dead accounts and give us an updated data base. He has generated interest in our company and products. Most importantly he has reached decision makers that will allow us to close a significant amount of business that we would not have had otherwise. John will continue to be a representative for our firm that we are proud to have contacting and developing our client base. I recommend his services to anyone using the telephone as a prospecting tool. His ability to reach decision makers is exceptional. As “The Database Diva,” my database is my most important business asset. But sometimes it’s hard to keep up with sales follow ups the way we should to close every bit of business we can. That’s where John’s company comes in. My team is able to focus on high-value prospects while John shakes the bushes for our next round of hot prospects. He is reliable, professional with our contacts and he gets above-average results by phone. In fact, I’m certain we wouldn’t have the success he has booking qualified appointments for our sales team! I highly recommend his service. John’s unique set of talents and positive energy has brought not only new sales leads for our company but he also offers a creative force that has launched new marketing campaigns and provided insight to our website design. John can take a company’s target goals and make them his own. His sincerity and drive in making the marketing efforts successful, sets him apart from the everyday salesman. Theresa Boedeker, President/CEO, Global Network Solutions, Inc.
John Eyres did a fantastic job as our May luncheon speaker at the Fenton Area Chamber of Commerce. He shared some great tips on how to overcome the fear of cold calling and the key pieces you need to know to be successful with it. I loved that he shared examples of scripts rather than just the components of them. I believe this helped our members really grasp what a call should sound like and will help our members be more efficient and successful with their cold calling efforts. Thank you John! I want you to know how pleased we’ve been with the work you’ve done to help us raise awareness of the “Un-Suggestion System” with our target market. The number of presentation opportunities you’ve set up is quite impressive – far more than we had been able to do on our own. Several of those prospects also have commented on how cordial and professional you were when you spoke with them. You’re a great representative for our firm. John has dialed lists we provide him for us now for nine months, and has turned up accounts that are perfect for what we do. He really focuses on getting to the client pain, and has done an excellent job both reaching decision makers and arranging follow up sales calls for my team. The ROI on his services is running over 200% for our company! John is a true professional in the telemarketing industry. He takes the time to get to know your business and your goals and customizes his approach to working with your prospects. Most importantly, he delivers results! Making first contact with a prospect is an art — John is indeed an artist. Even with the right message to the right person at the right time, it takes a real expert to make the connection. John’s service provides real value for our clients.